Who Else Wants To Combine The Purity Of Natural Organics With The Power Of Synthetics To Get Truly World-class Harvests? Adding Organic Goodness To Your Garden Used To Be More Trouble Than It Was Worth! You’ve probably heard about all the draw-backs of adding organic supplements to your cycles… or maybe… you’ve even experienced them yourself? Most organic formulas clog up your growing systems, filters, and turn into a nasty sludge that breeds fungus gnats and other disgusting creatures! Most organic formulas contain the wrong ratios of nutrients, so plants get “burnt” with too much nitrogen or they grow limp and weak from too little nutrition! Most organic supplements don’t mix well with your synthetic formulas! Most organic formulas smell like garbage and turn your garden into a “sewage” area! All in all, adding organic supplements to your cycles used to be a nightmare! Mother Earth Super Tea Organic OIM! 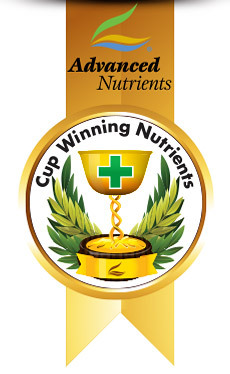 Advanced Nutrients has gone to great lengths and invested thousands of man hours into the development of the very best organic growing products… and… the Mother Earth Super Tea Organic OIM supplements are one of their finest inventions. Here’s five powerful reasons why these super teas give you exactly what you want from your garden… while at the same time… completely eliminate ALL your organic growing problems! Reason #1: Unlike some other formulas, the Mother Earth Super Tea Organic OIM blends are really 100% organic so they give you great-tasting and higher value crops. Reason #2: You get a proprietary extraction process that ensures the biological purity of the organic extracts to ensure you experience maximized growth rates and yields from your grow cycles! Yes, Mother Earth Super Tea Organic OIM help your current fertilizers produce vigorous growth and impressive yields no matter what type of garden you are growing in and with the types of high-value plants you grow. The “secret” is two-fold. First, these Super Teas contain only optimized organic ingredients from the purest sources. Second, they are combined in the correct ratios to give you exactly what you want-fast vigorous growth and enhanced bloom cycles! Reason #3: You get other growth maximizes and bloom-potentiating ingredients so you’re guaranteed to unlock the full potential of your plants! Yes, Mother Earth Super Tea Organic OIM contains chlorophyll-rich alfalfa extracts and at least 80 other plant-potentiating organic substances (like earthworm castings and kelp) so your plants get fed complex vitamins, potassium, phosphorus and other powerhouse nutrients that make for vigorous, lush growth and, tastier buds with great color, great taste and amazing aroma. Reason #4: You can use Mother Earth Super Tea Organic OIM in any hydroponics growing system or root zone media because it’s pre-brewed, filtered and concentrated in just the right amounts to mix easily and be simple to use. That means it feeds and mixes easily and is completely soluble in all types of gardens and grow rooms including aeroponics, NFT, rockwool, soil, sphagnum, flood and drain and all other types. Reason #5: And this is really the bottom line: you get absolutely all the benefits of supplementing your current fertilizer and feeding programs with organics with absolutely none of the downsides. This is possible because adding these supplements to your current cycle combines the 100% organic ingredients… in their purist form… and other growth and bloom potentiating ingredients… and it’s all pre-brewed, filtered and concentrated just right… so you get the perfect grow and bloom supplements to power your fertilizers to an impressive harvest. No Horrible Smell! Easier To Work With! And My Bloom Gave Me More Than I Expected With A Heavenly Taste And Smell! 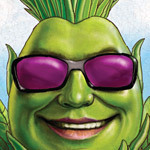 I Can Tell A Difference In The Way My Plants Grow… People Are Glad I Have Gone Organic! How You’re Guaranteed To Get Vigorous Growth And Maximum Yields From This Organic Grand Master Growing Secret! Why Not Give Mother Earth Super Tea Organic OIM A Risk-free Try Today? 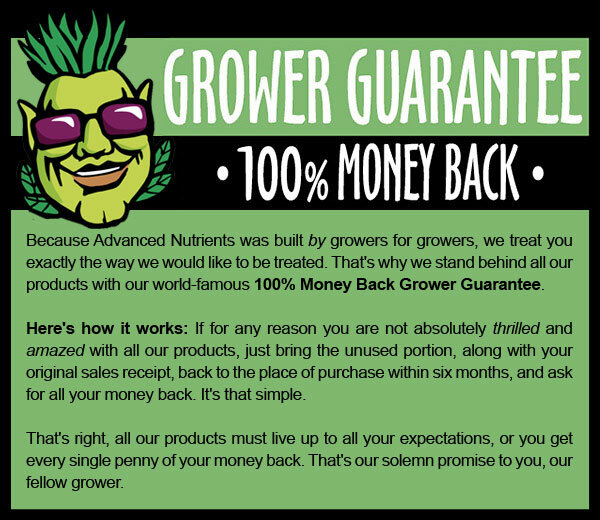 Either you’re absolutely THRILLED with your harvests – or you get every cent of your hard-earned money back! First, before you start your next crop cycle, select an equal amount of clones or transplants to use with Mother Earth Super Tea Organic OIM. Call this your “test” crops. Then, simply go to your favorite grow shop that carries Advanced Nutrients products and tell them you want to try out the Mother Earth Super Tea Organic OIM formulas absolutely risk-free. Next, when you get home, you simply mix it as described on the bottle. Then, add the formula to one set of your clones or transplants along with your normal fertilizer program. And use your normal fertilizers without the teas for the other half. Finally, watch in amazement as you see your “test” plants speed through their growth phase. Watch confidently as they get greener. And finally, enjoy watching them hit the bloom phase more powerfully than ever before! The only thing you’ll have to do after this is enjoy your plants. And enjoy all the benefits of bridging the gap between organic and synthetic nutrients. And whether you tell them what you did differently this time… or simply enjoy knowing this unique Grand Master Growing Secret and keep it to yourself… is entirely up to you. How Do I Use Mother Earth Super Tea Organic OIM? Mother Earth Super Tea Organic OIM can be used as a comprehensive organic bloom and grow phase fertilizer because it has the correct nutrient ratio for plants you care most about. Growers tested Mother Earth Super Tea Organic OIM against Pure Blends tea product, and found that our Tea outperformed Pure Blends. That’s because our Tea contains alfalfa extract, which provides 80 phytochemicals that enhance floral potential.